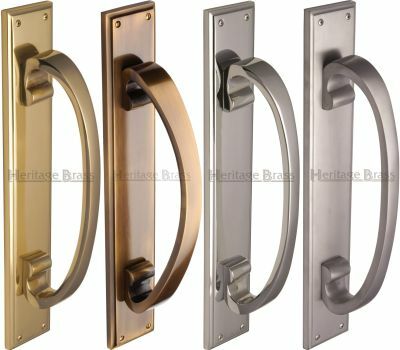 Solid brass large door pull handle on backplate. Backplate 460mm x 76mm, handle length 332mm, projection 89mm. 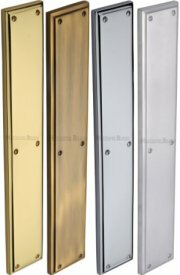 Available in Polished Brass, Antique Brass, Polished Chrome, Satin Chrome & Satin Nickel.